« Canning Pickles — What not to do! Especially during the summer, I let the garden inspire me on what’s for dinner. Tonight’s combination was spaghetti squash, tomatillos, jalapeños, onion, and tomatoes. 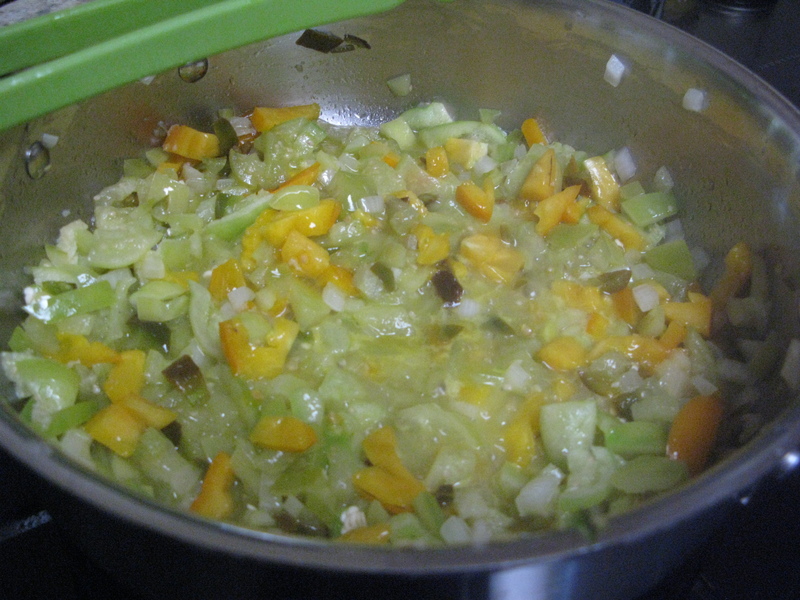 I started by cutting the squash in half, and placed it upside down in about 1/2 in of water. I cooked it at 350 for about 40 minutes. 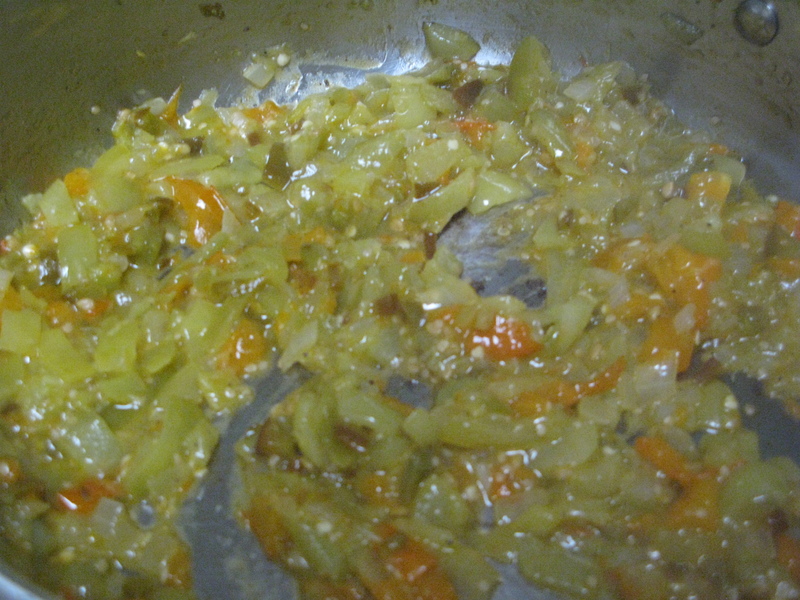 Next I chopped up an onion, about 10 tomatillos, 2 jalapeños, and a tomato. I also added 1 clove of garlic (grated), salt, and pepper. I cooked this down for about 30 minutes, until it thickened up. I did more of a chunky sauce, but you could also add chicken stock. 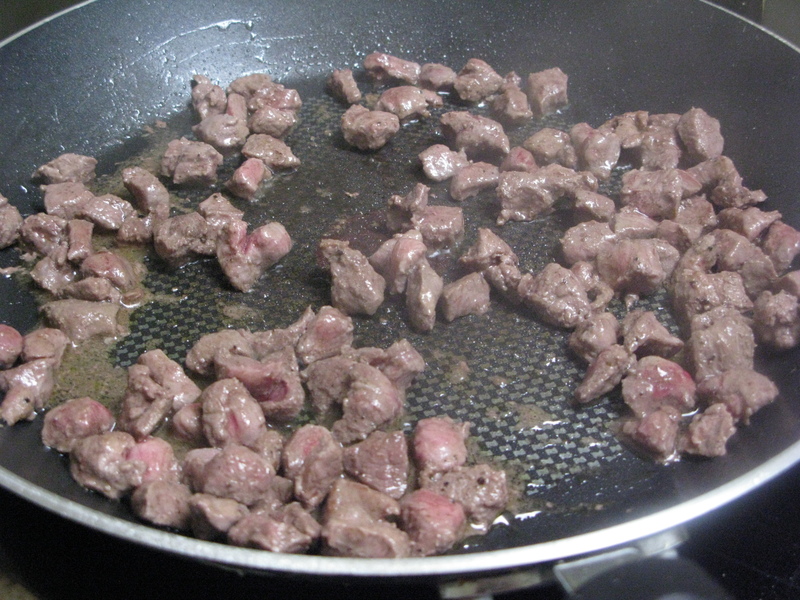 Meanwhile, I cooked up some venison micro-stew pieces with some salt, pepper, and olive oil. 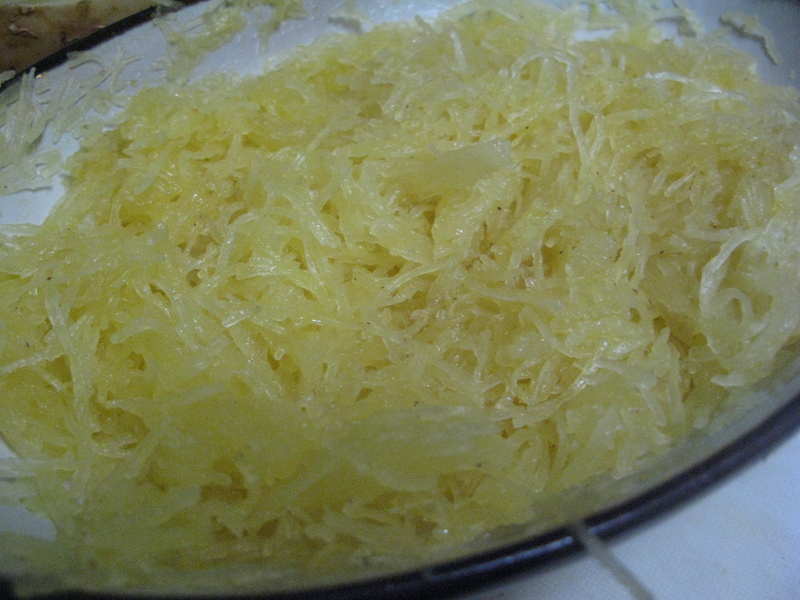 I pulled the spaghetti squash with a fork and added a little butter, salt, and pepper. Then I put it all together. Simple and so yummy! 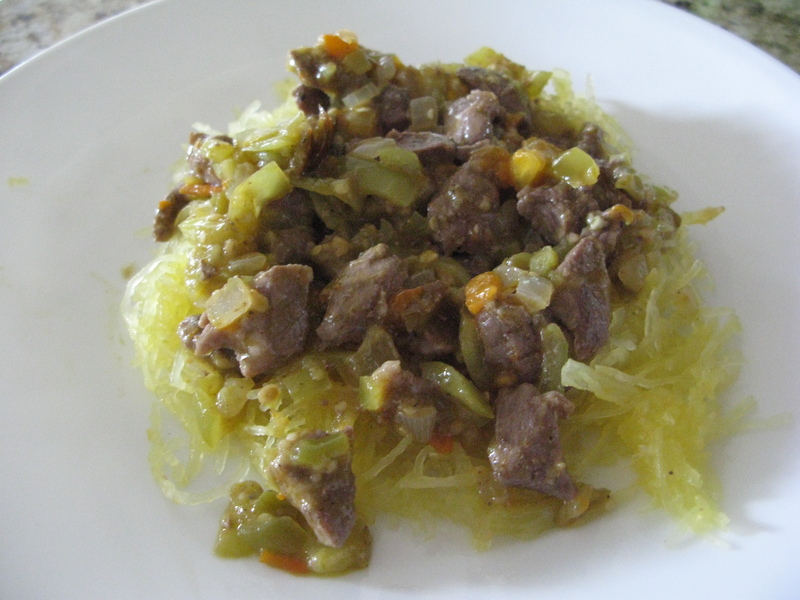 Update … the leftover venison and tomatillo sauce make an excellent addition to breakfast tacos. Just add eggs, cheese, and tortillas. Wow! I could open a food truck with those. 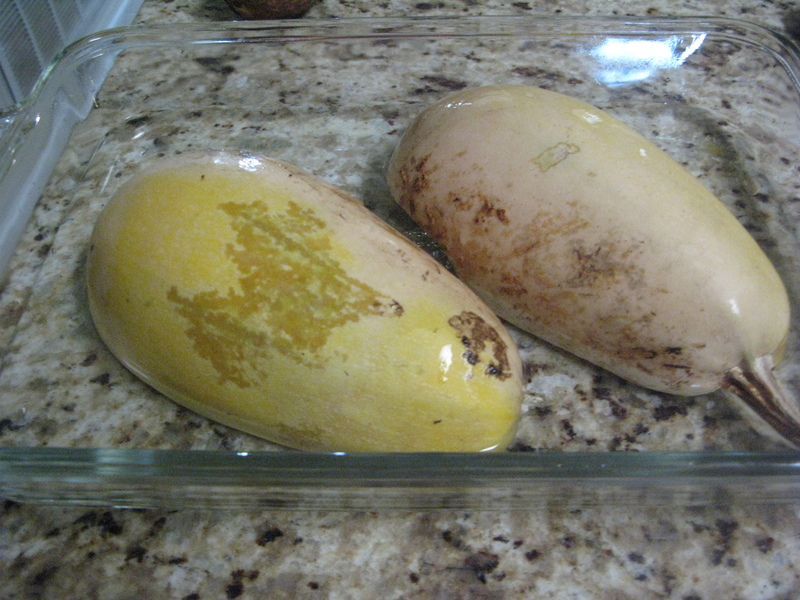 Did you grow the spaghetti squash? I’ve never tried growing that. Is it susceptible to vine borers like other squash? Seems more like Butternut, in its resistance to SVB. This is my second successful year with both of them.